I made a promise to myself that if I ever found anything that got rid of my Atypical TN2 pain, that I would post it here, in hopes it would help someone else too. I have cried and prayed and prayed for a cure and I believe I found one that works for me. Previously I had pain every day between 11am and 7pm with wicked flare ups always around 3pm. After taking these for 2 weeks, I began to notice a decrease in my pain. Now I have been completely pain free for over 2 months. Im not sure if my pain was relieved from just one of these supplements or if its a combination of both of them. I have always taken them together and will continue to do so. I am not affiliated with either company. Just telling you what worked for me and its my hope it can help someone as I know how disabling and depressing the pain is. Thank you, samirish - I looked up the Niargim ayureda and it was described as a muscle relaxant. I am taking Baclofen which is supposed to be a muscle relaxant and it’s free. I’ve had ATN for 18 months & doctors don’t know how to treat this type. It has improved after quiting Tegretol and Trileptal which nearly killed me by taking all the sodium from my system and making the pain worse. I’m also chewing gum to help during the day, but the nights are still bad since I can’t chew at night. WARNING - I was just given a steroid shot in my knee and it made the ATN pain worse! And didn’t help with the knee pain. 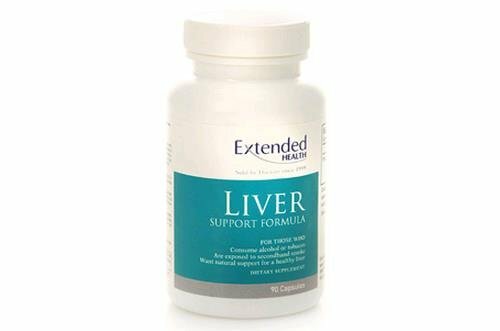 I will definitely try the Liver support supplement. Thanks again! Do you take this and the Homostasis one, sorry, can’t remember the spelling when I clicked it. The latter has tons of vitamin B which may be why the decrease in pain. I’ve tried the B-12 shot and sublingual with no luck. What does the liver one contain? Amazon wouldn’t pull it up? Hi! My name is Lorraine. I suffered from a bout of strange TN1 last September. I believe a result from having all four wisdom teeth extracted February that same year. I suffered for about 10 days with the excruciating pain on the right side of my face, just at the jawline only. My symptoms were strange in that the pain only occurred at night, never during the day so I was able to work and not have any problems. I also didn’t any of the sensitivity like to touch etc. I could brush my teeth, eat and put makeup on without a problem. I have never had a formal diagnosis of TN. The chiropractor told me it was TN. Either way, the pain was just as excruciating and disabling. I wanted to post what I did as I’ve been pain free for a year now. I had chiropractic work, cervical and mid back adjustments and I continue to this day to take turmeric tablets and B12. It has worked so far. Very importantly, I had laser treatment at the chiropractor for pain. I had 4 treatments of adjustments and laser and have been pain free since. Turmeric is a natural anti inflammatory and I have cut out my caffeine except on weekends, one cup Sat. and one Sunday ( only decaf now). Caffeine stimulates the nerve. I know everyone responds differently to different treatments, some better to holistic intervention than others. When people post their method of alleviating this excruciating pain, I hope it can provide another with one more resouce. I’m too scared of surgery and taking the medications recommended for TN. The only thing that worked for me was Botox. Unfortunately, it does start to wear off and you have to keep going back. I have tried every homeopathic thing on the market. Acupuncture worked but I had to go twice a week — and sometimes three times. TN has no rhyme or reason, and I think I kept trying to find one. I tracked the weather, types of storm fronts, temperature, barometric pressure, foods, talking, – everything so that I could think of so that if I could just stop doing that thing or putting myself in that situation it would go away. It didn’t. It’s nerve damage plain and simple. Block the nerve. Homeopathy may help heal the nerve but that takes time – and the older you get the longer it takes. Been living with TN2A for 7 years now, post head trauma. The pain has changed over that period of time, which gives me hope that the nerve is healing – similar to when you have a pinched nerve. It went from blinding, drop to your knees pain to cattle prod electric shocks to burning shocks with steady burning pain. So, right now, my answer is Botox – tough to find a neurologist that will administer it, however, and more often than not, insurance won’t pay for it. P.S. I also tried three different anti convulsants and a couple of SSRIs. Horrible side effects – almost as debilitating as the condition itself! Lorraine - what parts of you nerve did you get treated with laser or was it your upper back? Thanks for your help! I only had the pain in my jawline. The chiropractor ran the laser treatment along my jawline. I believe the chiropractic adjustments in conjunction with the laser helped alot. Like I said, I never went to see an MD and was never formally diagnosed but the chiropractor recognized the description of pain I was having and symptoms and told me it was TN. Just adjustments alone did not help, it was the laser treatment in conjunction that really alleviated the pain. The chiropractor also ran the laser along the very top of the upper part of my back just towards the back of the shoulder and neck. Anywhere the laser indicated, that’s where she treated. Who does your Botox injections? Are they in the NY/NJ area? There are a few doctors … I was at the point where I was willing to drill a hole in my skull – I couldn’t even speak without ending up in tears! So I decided to visit neurosurgeons. Dr. Christopher Winfree (Columbia) told me that after reviewing all the meds I was on and the trigeminal nerve scan, that I might try Botox. So he sent me downstairs to Kenneth A. Levin, M.D. : Neurology Group of Bergen County http://www.neurobergen.com/an-kal.html. I was very impressed with Dr. Winfree as well http://www.columbianeurosurgery.org/doctors/christopher-j-winfree/ they are both in the same complex. It’s expensive, but it has been the first time I could kiss my husband in 6 years. I’d say it was worth it! What was the Botox like? How does it work? Did you have Microvascular decompression? I did not even want to try MVD because I didn’t like the sound of it – the thought of permanent nerve destruction scared me too much. Basically, the doctor lays you on the table, and jabs you with a big scary needle several times along the TN1, 2 or 3 pathways. I experienced a steady decline in pain over the next several weeks. It does not begin to work right away. My smile is a little crooked, but I’ve decided it just makes me look “sassy”. I can live with it. Botox does work for a time. I have bilateral typical and atypical TN. It is the only thing that worked for a time. Over appx 2.5 years the length of time softened and shortened. Eventually it just lost efficacy. While it is working, you have your life back. None of the other meds worked as quickly or efficiently as Botix. Until it stopped. Thank you so much for this. I ordered these today. Fingers crossed. Also wanted to make some aware of what I am doing with great success so far. I am getting affordable accupuncture 3x week and am almost symptom free. I by searching found there is a movement called community acupuncture that is growing rapidly that works on a sliding scale usually $15 to $35 dollars. They do no financial screening you pay what you feel you can afford. This has been the biggest blessing for me and I now have hope. Just do a search in you area for a community acupuncture. They started this to help people that cannot afford acupuncture normally. SO far it is doing wonders for me. I hope this helps someone. Muscle relaxants are what helps me get through the day with TN2. Of course sleep also helps. My best guess about what does and doesn’t help with TN2 is the cause of the TN2. In my case it seems it is all about muscle spasms. But I doubt muscle relaxants would help somebody whose TN2 is caused by MS or some other cause than muscle spasms. Sandy, of course I do not know if you are like me and the following is only about my TN2 (aka ATN). Both physical and mental stress causes my TN2 to flare up. Also I already have C4-C7 fused together and C3-C4 is very problematic. By the way I get steroid shots in my right knee which is nearing its end of being useful to me. The last shot I got in that knee, the needle caused an increase in my knee pain for a couple of days. This increase in pain and wondering if the needle stick pain will go away did cause me increased mental pain which in turn caused my neck to tense up which in turn causes muscle spasms in my neck which in turn caused an increase in the TN2 pain. So I have had the steroid shot in my knee which in turn caused my TN2 pain to worsen. Mentally I try to stay like a zombi which mentally feels neither good or bad feelings as both cause my TN2 pain to increase which I can’t stand happening. I haven’t been able to work for 2 decades because of pain, especially the TN2 related pain. Both of my ears feel like they are on fire most every waking moment with my left ear being much worse then my right ear. I just wanted to tell you what has happened in my situation and have learned the only stuff in my situation that helps is muscle relaxants. If muscle spasms don’t cause your TN2 then muscle relaxants aren’t very likely to help. While I have tried most of all the typical TN2 drugs, I learned on my own that only muscle relaxants help me. During the day I try to control it with valium as it is a muscle relaxant that also helps me to mentally relax. At bedtime I take soma, a stronger muscle relaxant. I have learned how my TN2 progresses and if the valium can’t control it during the daytime then I will take soma. But soma makes me sleepy. If nothing else, perhaps I have given you something to think about and I am NOT claiming your situation is the same as mine. get rid of my ATN pain. as much of this granulated tissue as he could. Knowing whether a person absolutely positively has TN2 is problematic along with knowing exactly what is causing TN2 is also problematic. If you think you are 100% positive you had TN2, I suggest you think again.